Home Depot Credit Card vs. Lowe’s Credit Card - Which is Best? This article was last updated Nov 16, 2018, but some terms and conditions may have changed or are no longer available. For the most accurate and up to date information please consult the terms and conditions found on the issuer website. Whether big or small, home renovations can be a solid investment, giving you the potential to add value to your property and the benefit of enjoying a new and improved living space. Funding a home improvement project can be tough, which is why you might consider financing some of the expenses with a credit card. Both Lowe’s and Home Depot offer a store card that has some unique financing options and perks like discounts on select purchases. Let’s take a look at the Home Depot Consumer Credit Card and the Lowe's Advantage Card to see if either of these options are a good choice for you. Regular Purchase APR 17.99% - 26.99% 26.99% Home Depot Consumer Credit Card — if you qualify for the lowest APR. (Note that Home Depot offers the Home Depot Project Loan Card with a fixed monthly rate and 84 months to pay off purchases.) Special fixed-rate interest offers for 36, 60 or 84 months on purchases of $2,000 or more. * Lowe's Advantage Card – it offers financing options longer than 24 months. Everyday discount No everyday discount, but rotating limited time offers for a variety of products and services. * 5% off your eligible purchase* Lowe's Advantage Card – since the Home Depot Consumer Credit Card doesn’t offer an ongoing discount. The Lowe's Advantage Card comes out ahead of the Home Depot Consumer Credit Card, since it has a consistent everyday discount and longer financing options. If you’re looking to save on small, frequent purchases, this card is a good choice with 5% off your eligible purchase. The Home Depot Consumer Credit Card lacks this discount, though it does offer occasional discounts on select purchases. While you may be tempted by the Home Depot Consumer Credit Card’s lower 17.99% - 26.99% APR compared to the Lowe's Advantage Card’s 26.99% APR, this should be an insignificant difference, since you should always pay on time and in full to avoid interest charges altogether. While we found the Lowe's Advantage Card as the winner, the card you choose ultimately depends on more than credit card features — store preference and location will also likely factor into your decision. We found in a side by side comparison, the Lowe's Advantage Card beats the Home Depot Consumer Credit Card, but that doesn’t make it the best card for everyone — there are other things you should take into consideration before selecting a card. The main factor that will determine which of these credit cards is best for you most likely will have nothing to do with the card’s features. You’ll first want to consider if there is a Lowe’s or Home Depot conveniently located where you live. Home Depot has over 2,200 locations while Lowe’s has over 1,700 — so, if there is no Lowe’s near you, it doesn’t make sense to apply for their card. If both home improvement stores are close by, then the differences between the two cards are something to consider and you should refer to our comparison above. Choosing between the Lowe's Advantage Card and the Home Depot Consumer Credit Card will depend on your individual situation, but both cards do offer good financing options for loyal customers. It is important to note that these are store cards, which mean you can only use them at the issuing store; you’re unable to use your Home Depot Consumer Credit Card at Lowe’s and vica versa. If you want the flexibility to use your card anywhere, check out some of the alternative home improvement options we recommend below. Even though they might catch your eye at the checkout counter, the Lowe's Advantage Card or Home Depot Consumer Credit Card might not be your best choice for financing home improvements. Not only will these products pigeon-hole you into purchasing all of your products at one store, but when you crunch the numbers, there are a handful of low interest credit cards and rewards credit cards that have more favorable terms — and could save you a lot of money. As an alternative to the Lowe's Advantage Card or Home Depot Consumer Credit Card, the Citi Simplicity® Card - No Late Fees Ever comes with a $0* annual fee. Currently this card offers an intro 0%* for 12 months on purchases* and 0%* for 21 months on balance transfers*, so it would give you more time to pay off a large purchase from a home improvement store interest-free. The ongoing APR is 16.24% - 26.24%* (Variable), lower than what you’d pay if you carried a balance on store credit cards, like the two listed above. The other huge benefit when using the Citi Simplicity® Card - No Late Fees Ever instead of a Home Depot or Lowe’s credit card is that you can shop at any retailer and still take advantage of the introductory offer. If you’ve saved up enough money to pay for your home remodel outright, then putting your expenses on a rewards credit card can help you bring in a good amount of cash back. 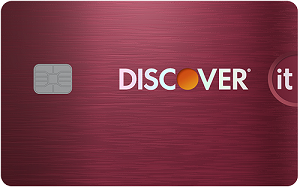 The Discover it® Cash Back offers 5% cash back at different places each quarter like gas stations, grocery stores, restaurants, Amazon.com and more up to the quarterly maximum, each time you activate, 1% unlimited cash back on all other purchases - automatically. Plus, Discover will automatically match all the cash back you earn at the end of your first year. * This incredible new cardmember offer will give you a chance to save a lot of money on your home improvements by earning cash back on all of the purchases you make along the way. To top it off, cardholders will also enjoy an intro 0% for 14 months on purchases (after, 14.24% - 25.24% Variable APR), longer than the Home Depot Consumer Credit Card and Lowe's Advantage Card. (3,923) Over the Past 60 Days! 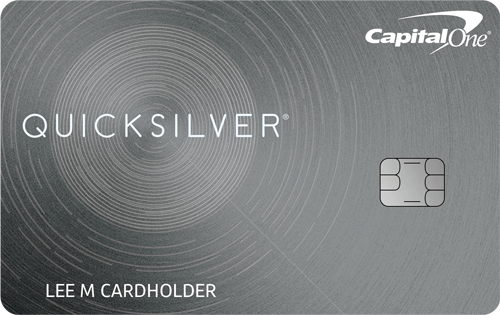 The Capital One® Quicksilver® Card is a good $0 annual fee credit card for consumers who would like to earn cash back on their home improvement purchases and enjoy the comfort of having a long period of interest free financing. Cardholders earn 1.5% cash back on every purchase, every day. You’ll also have a 0% intro on purchases for 15 months and a 0% intro on balance transfers for 15 months (after, (16.24% - 26.24% (Variable) APR). If you utilize these offers, you won’t have to worry about paying the full price of your home remodel right away and will receive a longer interest-free period, compared to the Lowe's Advantage Card and the Home Depot Consumer Credit Card. The Lowe's Advantage Card and the Home Depot Consumer Credit Card offer great continuous financing options for loyal customers, and they can be a helpful tool if you frequently make purchases at their stores. However, there’s a good chance you’ll be better off with one of the other credit cards mentioned above. The Lowe's Advantage Card and Home Depot Consumer Credit Card may restrict you to earning rewards or getting low interest just within their stores, while the alternatives we’ve mentioned can be used on all your purchases and may allow you to utilize both benefits at the same time. The information related to the Home Depot Consumer Credit Card has been collected by CompareCards and has not been reviewed or provided by the issuer of this card prior to publication.